Exit Intent Pop-Up tool helps you get the most of your traffic, re-engaging the users that want to leave your pages. Show completely customisable messages, images and pop ups to people who view your page for a certain amount of time or try to exit the page. Exit intent popup comes free with your AffKit membership. 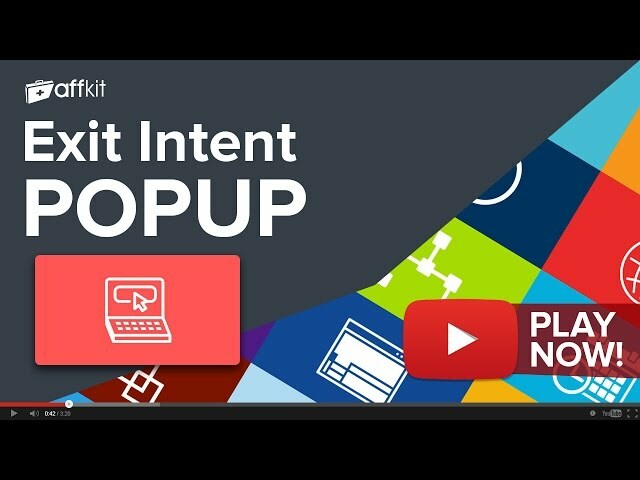 Sign up now to have full access to Exit intent popup and another 20 must use tools. If you're already a member you can Log in now or Sign Up to get access.